It’s an exciting day ahead at Day Four of the EYOF in Gyor, Hungary. 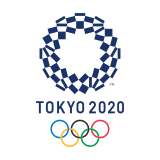 Swimming kicked off at 8am (GMT +1). Ireland will have five individuals and a relay swim. 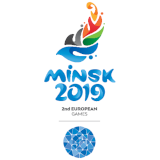 Sean McNicholl swims the 100m Freestyle, Julia Knox the 100m Butterfly, Eoin Corby the 400m IM and Scarlett Armstrong and Naomi Trait compete in the 50m Freestyle while Ireland will have a team in the Mixed 400m Freestyle Relay. Following a stellar performance on the track yesterday, winning her Semi-Final, Rhasidat Adeleke will race in today’s Final of the Women’s 200m with a number of other athletics events taking place throughout the day. The Girls and Boy’s Road Race in Cycling will take place in the morning and afternoon. 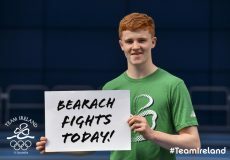 Judo also starts today with Bearach Gleeson (Dublin) competing in the -73kg category. Best of luck to all athletes competing.